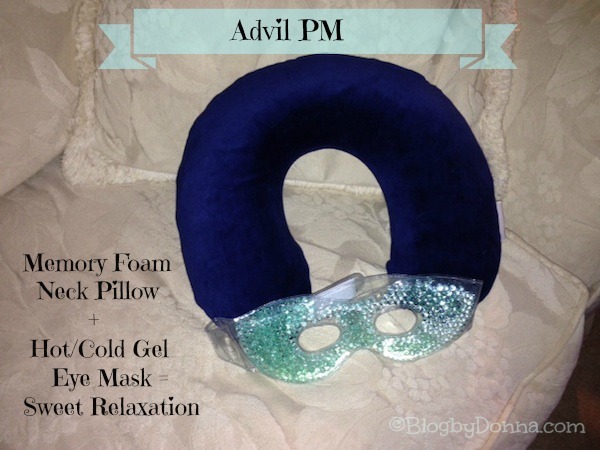 This restful, relaxing, get a good night’s sleep post has been brought to you by Advil PM…. I don’t generally have trouble sleeping. I do have trouble winding down though. I have so much going on and usually am up late at nights finishing up work, that by the time I get to bed, it’s already late… then add in the time it takes for me to relax enough to fall asleep, well, it’s way after midnight before I get to sleep. I get up early, especially during the school year, which starts back here, Monday. I know. Way. Too. Early. So if I need 7-8 hours of sleep for optimal health, I’m falling short, because I average 6 hours. My husband on the other hand, suffers from insomnia. It’s something he has dealt with off and on since I’ve known him. Over 22 years now. That’s a long time to live with insomnia. 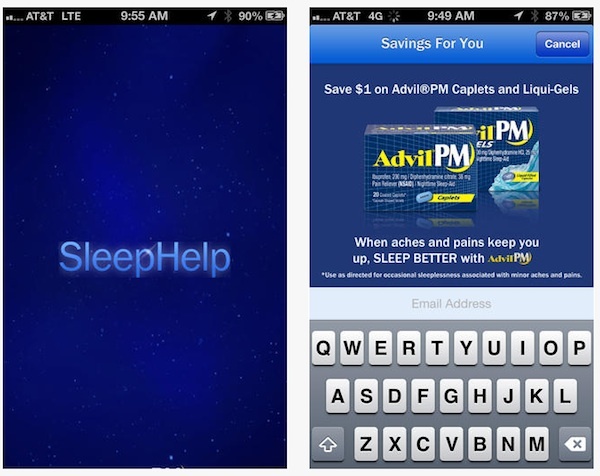 Advil PM (the non-habit forming trusted pain reliever with the power of Advil) has a new app that helps you get a personalized better night’s sleep. You’ll find tips to get you through every stage of sleep — like winding down before bed (I so need that) to getting through the day after having a difficult night’s sleep. I know a lot of us could use these tips. The best part is that the tips are rated by the community (people like you and me), so you can see what tips rate the most useful. Sometimes I have trouble sleeping because of pain. For example, I hurt my left gluteal muscle and hamstring doing curtsy lunges. Shew, it’s been killing me. Thank goodness for Advil PM Pain Relief, it’s going to be my lifesaver tonight. I hate feeling under the weather, it messes my sleep up more than anything else. 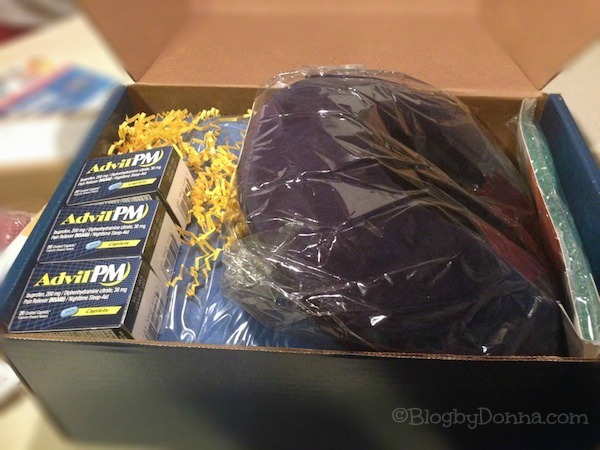 The relaxation kit I received has been wonderful in helping me to unwind at night, though. 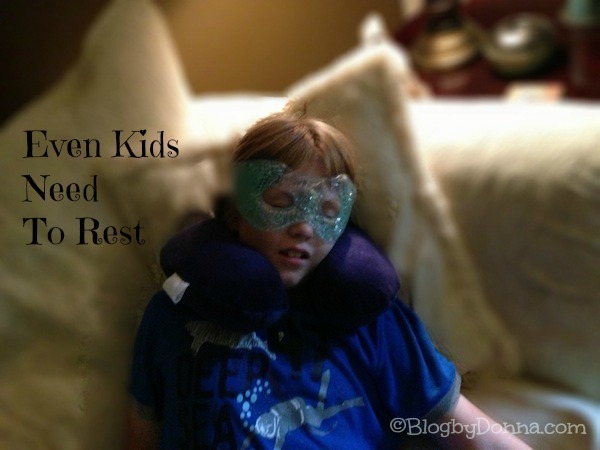 I especially love the Memory Foam Neck Pillow and Hot/Cold Gel Mask. Ah, sweet relaxation. My husband is downloading the app, too. Maybe he’ll be able to get a good night’s sleep soon. You can download the SleepHelp App from the iTunes Store or Google Play and the best part, it’s FREE! This giveaway is open to U.S. residents 18+ ONLY. Ends 8/31. Enter on the Rafflecopter form below. Good luck! Disclosure: I received a relaxation kit for review purposes but all opinions are 100% my own and may differ from yours. I will only endorse companies, products and services that I believe, based on my own experiences, are worthy of endorsement. I relax by taking a nice hot bubble bath and the curling up on the couch with a soft, cozy blanket and a great book. I listen to an audio-book on my iPhone. Blankets, pillows, and do not disturb sign! I eat hot and sour soup from the local Chinese restaurant & then I snuggle up under the covers with a good book. I relax by taking a nice bubble bath while reading my favorite book! I lay in my bed in a dark room with a fan blowing on me thats how I relax! I go to bed and stay there as long as possible. Comfy pjs and a good book! I read a good book and drink tea. I love to cuddle up in my recliner with a blanket and a hot cup of coffee! When I feel bad I always want to get in the bath with eucalypse salt and soak! I have hot tea and lay down with a soft blanket. Just quiet rest is probably the best for me. I lay in a dark room and relax and take a nap, with no electronics nearby. A nice hot bath! Oh and a cup of hot tea! just feeling blue? then sushi or an almond croissant! I relax in a dark room in my pjs and blankets. I usually try a hot bath, with candles! I relax with a nap and using lavender pillow spray! Lay down on the couch and watch Lifetime! cuddle on the couch and read a book. I cuddle with my babies!! I relax best by reading and cuddling with a soft blanket. I try to read some and then just lay in the dark and quiet room until I can get to sleep. a steaming hot bubble bath, heating pad, a healthy dose of advil and my big comfy bed to snuggle up in! A batch of cookie dough doesn’t hurt either! A steaming mug of hot chocolate, a good book, a down comforter and a long nap! Vape to Live, Live to Vape!! Cuddle up in bed with some hot tea and just lay around. I get in my recliner and cover up. take a nice hot shower, put on my pjs make some hot apple cider and watch something funny on tv. take the hottest bubble bath I can and read a book. Curled up with a blanket in my recliner! I go to the beach and listen to the waves. I spend the day in bed and let my husband take care of me.